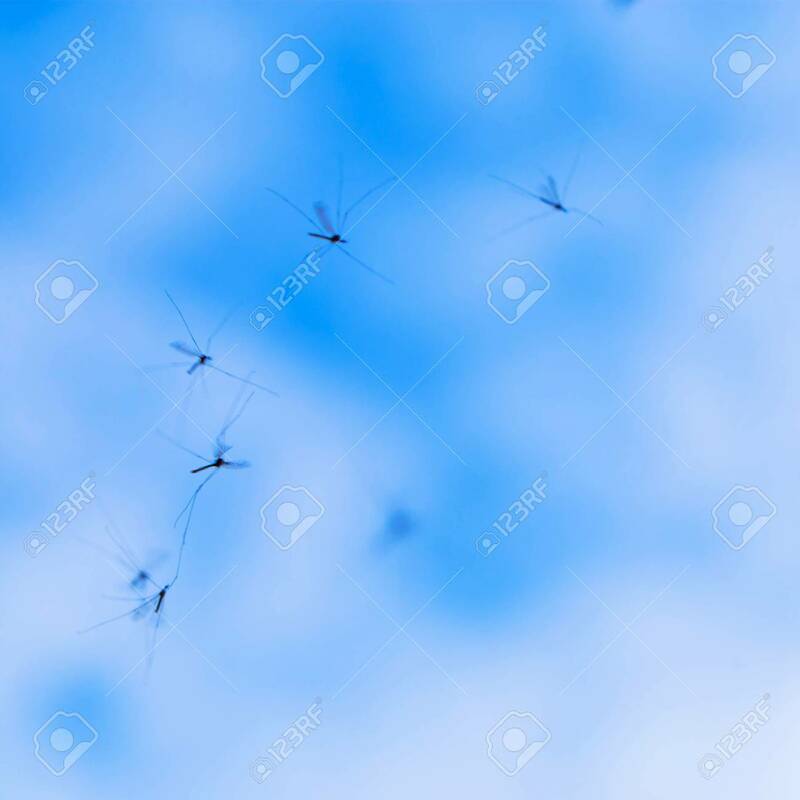 A Flock Of Mosquitoes Flies In The Sky. Mosquitoes Close-up. Flying Insects. Insects Are Dancing Lizenzfreie Fotos, Bilder Und Stock Fotografie. Image 101260707.